Rising high above the marina are two iconic towers, visible from both land and sea. 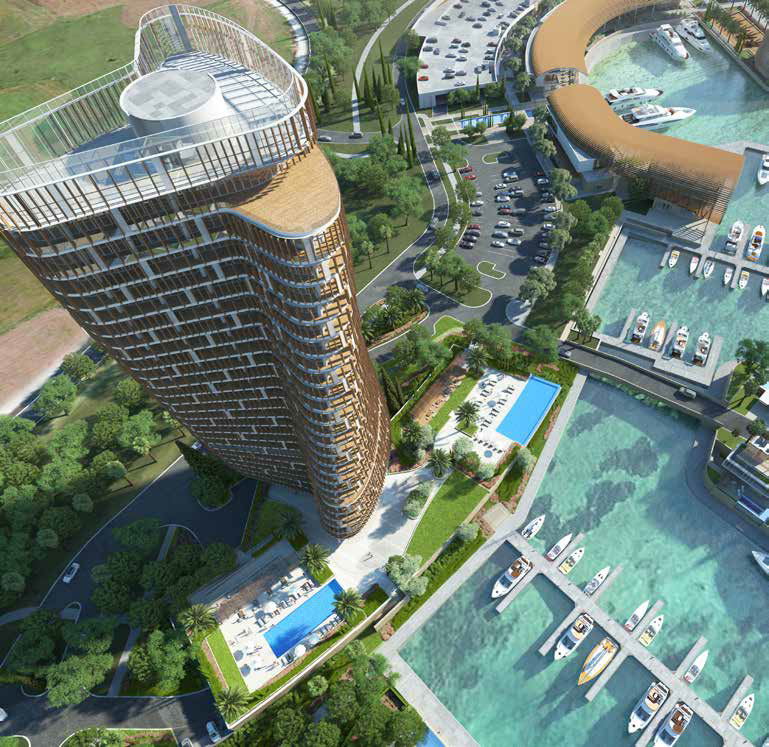 Over 100 meters tall, the towers stand out in splendor like beacons welcoming seafarers, residents and visitors alike. The towers host a total of 190 apartments consisting of 1, 2, 3 or 4 bedrooms including penthouses on the top two floors. 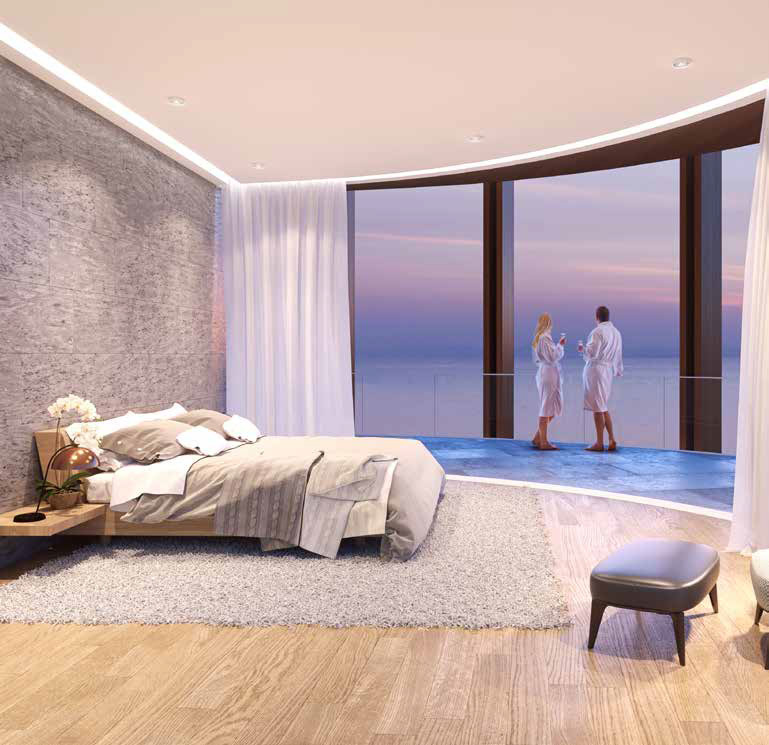 The highest floors are oriented towards the east, overlooking some of the most spectacular beaches in the world. 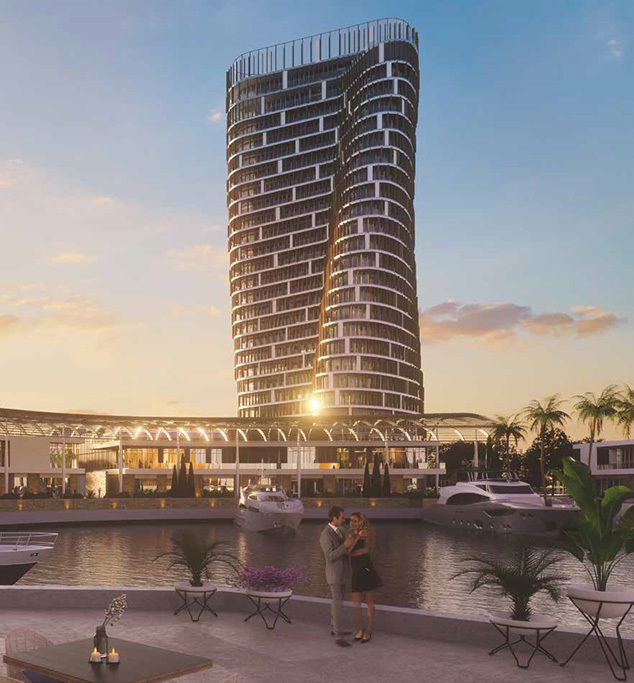 The East Tower has 90 spacious 1, 2, 3 or 4 bedroom apartments including penthouses on the top two floors. 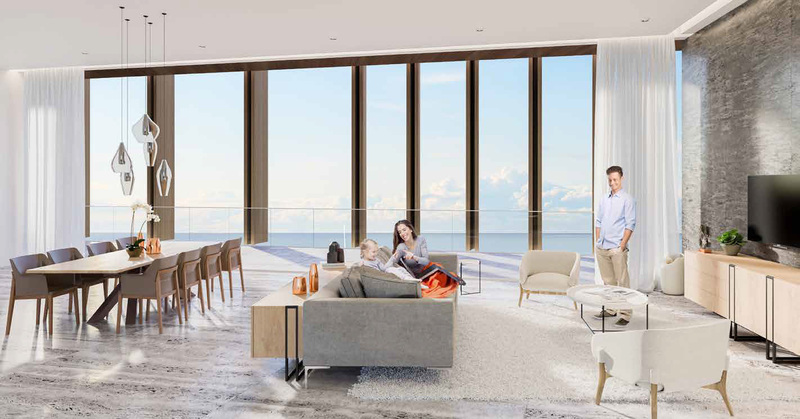 At the top two levels of the East tower are two full floor penthouse apartments that feature 360-degree panoramic views. 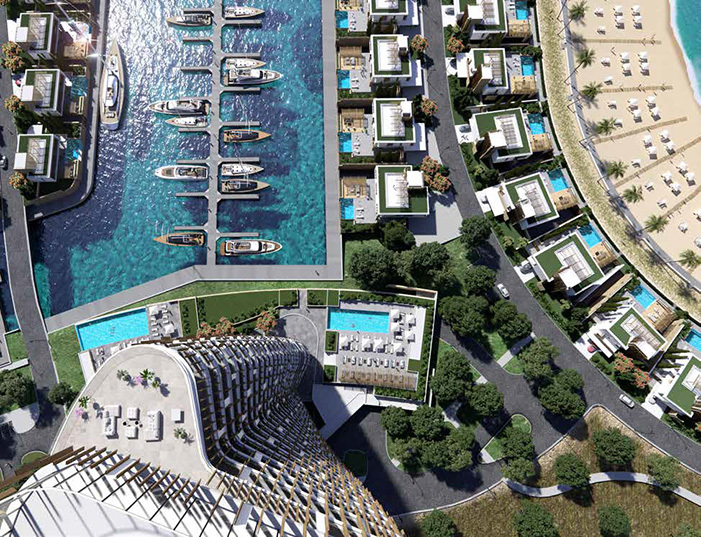 The towers, situated on the southeastern coast of Cyprus, offers luxurious residences, world-class yachting facilities, a variety of retail boutiques, waterfront fine dining options, recreational and nightlife experiences. Rising high above the marina the East Tower, over 100 meters tall, has a T-shaped plan that twists approximately 1.6 degrees per floor, rotating west to east as they ascend, to take full advantage of the breathtaking panoramic views of the Mediterranean, the marina and coastlines stretching in either direction. 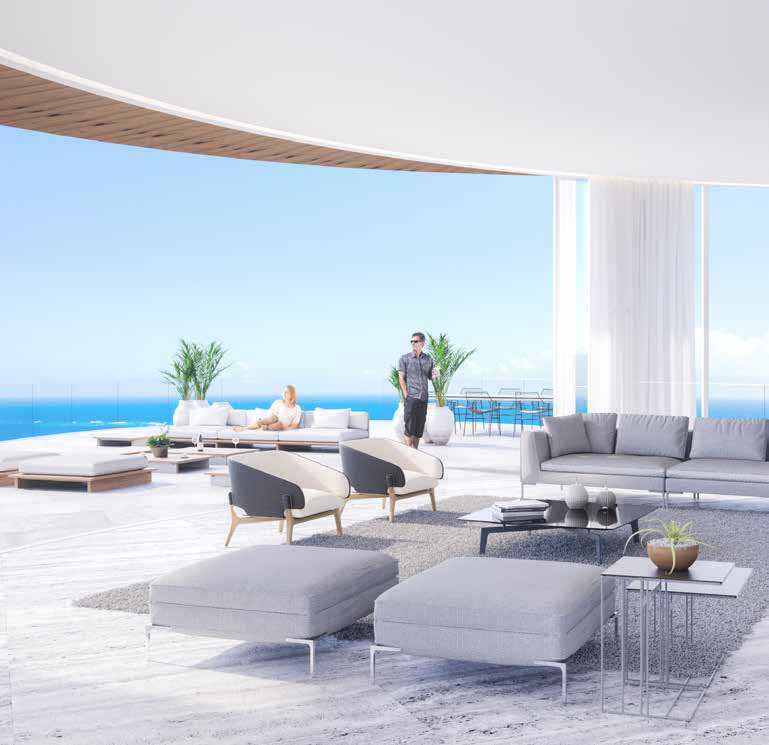 The apartments are uniquely shaped to ensure that all living spaces, including bedrooms, are oriented toward the water and beaches; while the concept of modern, open plan designs maximize daylight and views. The modern open-plan living and dining spaces can be extended out onto the veranda by opening the full height folding glass doors that when opened, create an extension of the living area out onto the veranda.